While looking for a picture for this post, I found out that there’s another book with the same title by Stephen M. Irwin but it’s a whole world of difference in terms of the plot. So if you’re here for that, I’m sorry but you’ve come to the wrong place. 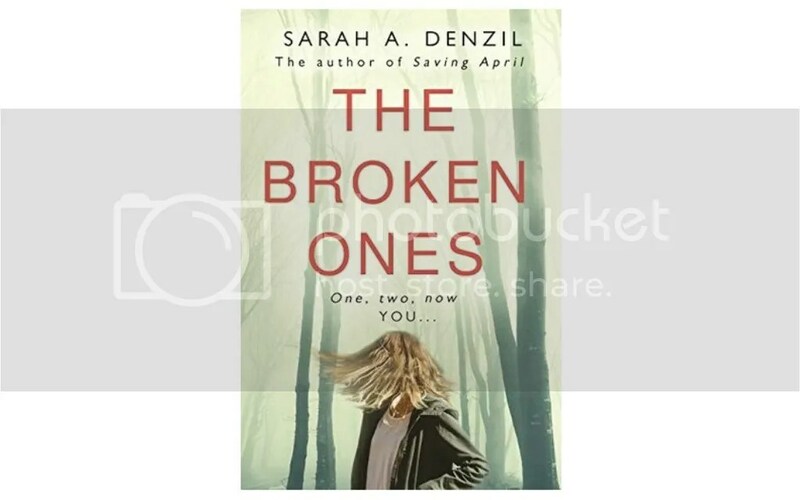 Today’s book review is for “The Broken Ones” by Sarah A. Denzil, which is supposed to be a psychological thriller. If you’ve been following my book reviews, I guess you can tell that I’m easily drawn in by the editors’ word bait of “psychological thriller”, as it’s one of my favourite type of books to read in the summer or on a holiday as there’s usually not too much history to understand and it’s concentrated on a few characters so it’s very easy to follow. I’ll try to do this review without giving too much spoilers. This book is, as mentioned, positioned as a psychological thriller. It follows Sophie’s life, as she takes care of her verbally abusive mother who has got early onset alzheimers and deteriorating fast. Life has sucked for Sophie, pretty much for her entire life, with her mother blaming her for everything and being just really a horrible parent. But there’s only two of them and Sophie feels obliged to take care of her mom now that she’s sick. Then one day, the mother starts talking about “the shadow”. Sophie also felt that someone is watching them, finding things in the house that doesn’t belong to anyone she knows. Someone keeps calling her. Things starts to happen to her mom and around her. The characters are all not very like-able. Sophie is so meek and doesn’t stand up for herself, although I do feel sorry for her for having such a horrible mother. The mother is just horrible from start to the end. The friends in the book also doesn’t feel like real friends. I thought it’s a pretty nice read. I really didn’t like the ending – it’s so predictable but it wasn’t awful and the loose ends are tied. The first half of the book flowed well and was honestly more eerie than thrilling. At first I thought I was reading a horror book. But then the pace slowed down significantly in the second half as the plot started to feel scattered and lost. So in all, it’s not amazing but it does have some thrilling elements and is a very easy read. The plot is simple and I read most of it while doing something else at the same time.